Chromes are still the 'gold' standard in partial prosthetics. At 1-2 mm thickness and various major connector designs, from skeletal to full plate and lingual plate to sub-lingual bars, the designs are endless. Clasp design with the RPI (mesial rest seat, plate, i bar clasp) system is favourable on free - end saddles due to the distribution of the vertical applied forces which stops crown movement distally and minimizes the risk of damage to the periodontum and teeth. 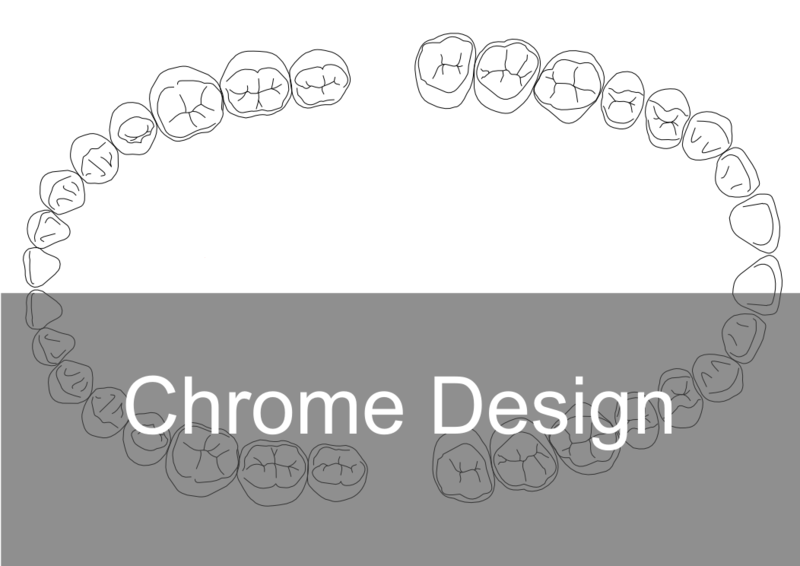 Chromes are designed to be easily adapted and biocompatible whilst providing the patient with optimum comfort, function and hygiene. The designs are based on minimizing risk of damage to the teeth and periodontum via major connectors placed 3mm away from gingival margin. Clasps are added for retention and to resist displacement away from the oral tissues, whilst the lateral displacement during function is controlled via reciprocation and bracing. By having all of the features above incorporated into a partial it provides a stable chewing experience for the patient. All chrome partials are surveyed with all undercuts blocked out. This provides a simple path of insertion. We provide short CPD presentations on prosthetics products to practices for their associates, which covers product information, advantages, selling points, limitations and clinical support, please phone us to book a short presentation.